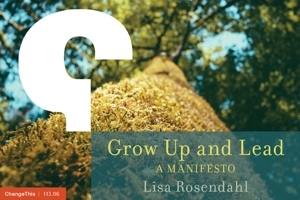 Lisa Rosendahl — Can You Ever Really Know? Can You Ever Really Know? You work with someone every day, you sit beside a parent at dance class each week, you know a friend of a friend who you occasionally meet socially or you serve on a committee with a community member. Based on what you observe (you see facets of a being), you make a judgment or a character determination. What if you become aware of something about a person? What if it is negative and you did not see it coming? What if it has absolutely nothing to do with you yet it hits close to home? Are you a bad judge of character? But how could you have known? What if you have no facts at all to support your reactions? What if the facts you do have call into question the validity of what you heard? What if you can’t shake the feeling that it is just not right, not right at all? What if the incident is completely non-work related? What if you are in a position to advise the director about an agency’s response? Should you separate feelings from facts? Should you separate the personal from the professional? Yes, you absolutely must. And yes, I will. I just need some time to be a mom first.